There are many ways that people can earn Bitcoin online. Just as it is in real life, unfortunately, there is no such thing as a free lunch. You might be interested in learning how to make money fast, or how to make money with bitcoin online. The truth there is; any way of obtaining Bitcoin online will demand you give something in return, whether it’s your knowledge or your computer’s processing power or your time. Some of the methods that will be outlined in this article will involve little effort but will also result in low returns. Other means of obtaining Bitcoin online may be more lucrative, but they will demand you have a particular level of knowledge and expertise about the cryptocurrency industry and market. Therefore, even though it may seem to some that Bitcoin, and digital assets in general, is an easy way to make money, it is not as simple as some might assume without the necessary knowledge. 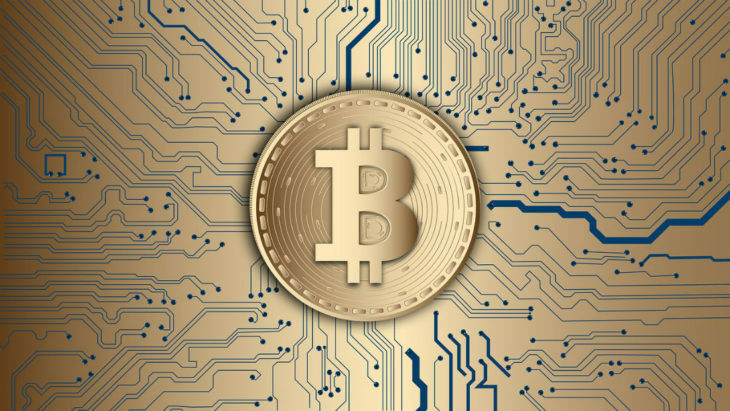 However, should you be interested in obtaining Bitcoin online it may be worth considering some of the below possibilities, ranging from the easiest ones, which are invariably the least paid, to the more valuable roles available in the Bitcoin world. Trading in Bitcoin can be very profitable, but it takes a particular level of expertise and experience about the market just like trading on any other financial market. Also, the cryptocurrency market is highly volatile and therefore may not satisfy everybody’s risk appetite. The first concern with trading is that almost all of the cryptocurrency exchanges operate through Bitcoin or Ethereum, meaning that if you want to trade in digital assets and don’t own any, you will probably need to have some in your possession. Websites such as Coinbase or CEX both allow users to buy cryptocurrency by credit/debit card, or to buy through a bank transfer. Once bought, you can then transfer your Bitcoin to whichever exchange you wish to trade with. Day trading is buying and selling Bitcoins or any other digital assets on the same day as a result of small, short-term price changes in the market. Such changes may be based on market trends or just rumors. Traders can trade Bitcoin against other cryptocurrencies or fiat currencies such as USD, EUR, and GBP. Although comparable to day trading, CFD does not require buying or selling any Bitcoin. Instead, you buy a contract for Bitcoin, that is, you don’t have to hold or store any Bitcoin. One of the benefits of this is that you can short Bitcoin, meaning that if the price falls, your profit increases, letting you hedge your trades. One of the downsides is that you don’t own any of the Bitcoins you trade with, and therefore, you have no control over the bitcoins or the private keys. For this reason, it can only be used for trading purposes. One of the famous brokers providing contract for difference with Bitcoin as underlying asset is eToro. When it comes to bitcoin lending, there are probably significant earnings to be made, but there is also considerable risk. Bitcoin lending operates through third-party websites such as Xcoins, and the notion is as simple as it sounds. As a bitcoin owner, you can make money by lending your Bitcoin to someone else at a certain level of interest, just like a bank. The levels of interest are much higher than the standard bank rate since this particular market is unregulated, and therefore, there is a potential for high returns. On the downside, however, the unregulated nature of the market implies that if the borrower does not pay back the Bitcoin to you, there is little recourse available for you to enforce the loan. As the name implies, these platforms pay users in Bitcoin for visiting some websites or viewing specific advertisements. Many paid-to-click sites like Ads4BTC, the most popular and the most famous of these PTC sites, will pay negligible sums in Bitcoin for clicks and views. This website lets users choose between viewing 5 seconds, 10 seconds or 20 seconds ads, with different prices being awarded for each. Based on the prices Ads4BTC offers, if you had 20-second ads running for a whole day, you would not make up to $10 in a day, so this may not be an ideal option for most. Bitcoin faucets are websites that give away negligible amounts of Bitcoin to its users, with administrators making money by putting ads on their site and pay individuals who click on the ads or complete surveys. This industry amounts to more than 50% of the traffic on most popular Bitcoin websites today. Faucets let you earn a portion of the Bitcoin that they give away to any guests that you brought in. This has led to users using a Bitcoin faucet rotator that lets users quickly surf several faucets and earn a commission through rotation links for every faucet visited by you. Just like PTC websites, however, Bitcoin faucets are not a genuine way to make money online, with even the best faucet rotators being applied still only letting users make around $1-2 per day. Micro jobs are little tasks that can be performed for intangible amounts of Bitcoin. Platforms like Coinworker provide such tasks, which may involve merely testing a plugin to see if it is compatible with a particular browser, or just tweeting about something. Again, the money is small, but there is a possibility to make a little bit more than the PTC websites or faucets. If you are enthusiastic about the cryptocurrency industry or knowledgeable about Bitcoin, and ready and able to share what you know with others, then you can make money online or earn Bitcoin by doing so. The amount that can be obtained by writing about Bitcoin or other cryptocurrencies differs, but can be quite profitable depending on your level of understanding of the subject. The BitcoinTalk Forum Signature campaign rewards users for writing posts on the BitcoinTalk forum which incorporates a product campaign in the signature. On the BitcoinTalk platform, payment levels are determined by your membership level, with very limited Bitcoin being available for users that are not a full member of the forum (full membership can only be obtained after you write 120 posts). Most campaigns also have specific requirements for posters, such as a minimum word limit or a condition that no advertisements are directly inserted in posts. Also, some campaigns may include a minimum and a maximum weekly post count. The amount of money you can make from these campaigns differs and are determined by the number of quality posts that you could create as a user that reach the word count points. Depending on the particular campaign, you may be able to earn $50-100 for working for 24 hours, apart from the posts needed to gain full membership to the forum. Also, due to some campaigns enforcing a maximum number of posts per week, there may not be enough income within a campaign to earn tangible amounts. For those who want to know how to make money with bitcoin online, it is at this point that the possibility of earning good money starts to rise, although the necessities for knowledge about Bitcoin also increase as well. There is an ever-increasing number of news sites and blogs that need dedicated writers to write about Bitcoin and other digital assets and, depending on your level of knowledge about your subject, there is a virtually limitless number of opportunities available to writers, with good quality writers earning between $30-100 per 1,000 words. At this level, writers can determine their preferred payment methods, whether it be in Bitcoin or fiat currency. A good place to begin if you are looking to find jobs writing about Bitcoin online is Coinality or other similar platforms. If you decide to take the writing path as a way to work from home and earn bitcoin, and your website or blog is a success, then it is possible to make even more money through Bitcoin affiliate marketing. Bitcoin affiliate marketing lets you get paid a certain amount of money for every referral that you bring to a Bitcoin business. If a bitcoin market platform, for instance, runs an affiliate programme, and your website or blog is read by a reasonable amount of people who link to the exchange and buy the product offered, then the commissions can probably be unlimited, for minimal outlay other than the writing of the original blog post. If your level of expertise in cryptocurrency is more on the technical part rather than the writing aspect, there are many possibilities to get involved in cryptocurrency development projects. Most of the firms currently operating in the cryptocurrency sector are start-ups with inadequate infrastructure in place. Therefore, they often lack experts in different areas ranging from mining experts to software developers to web developers to online marketers. Early enthusiasts of the cryptocurrency industry have made substantial amount by mining Bitcoin. Bitcoin mining is the process of creating new coins. Mining is carried out using specific computer software and utilizes the processor of the miner’s computer. This process of mining bitcoin was relatively simple at its inception, and the pioneer miners were able to mine thousands and thousands of Bitcoin with low expenditure. At the same time, however, the value of Bitcoin was nothing close to what it is today, and therefore any significant profits being made from mining didn’t begin to happen until some years after the value of Bitcoin started to rise. Nowadays, mining Bitcoin is much harder. Mining bitcoin now needs more processing power, and therefore the mining process now involves significant processing power and can no longer be carried out without some specific equipment. Besides, the costs of the electricity utilized to power this equipment are phenomenal, with the latest research establishing that Bitcoin mining currently uses the same power per day as a country the proportion of Morocco. As a result, most Bitcoin mining has been taken over by corporations who can make profit by scale based on buying many processing hardware at a cheap price as well as settling themselves in an area with incredibly low-cost electricity. These are some of the most common ways in which you can make money online. As noted in the beginning, there is nothing like free Bitcoin, and something will have to be given in return, whether it’s expertise or time or both. However, with an ever-growing market, the demand for Bitcoin expertise and Bitcoin-related products indicates that there has never been a better time to get involved in Bitcoin or the cryptocurrency market in general.